The art of crafting a successful event tie-in issue is using the language of the event and applying it to the protagonist’s philosophy. 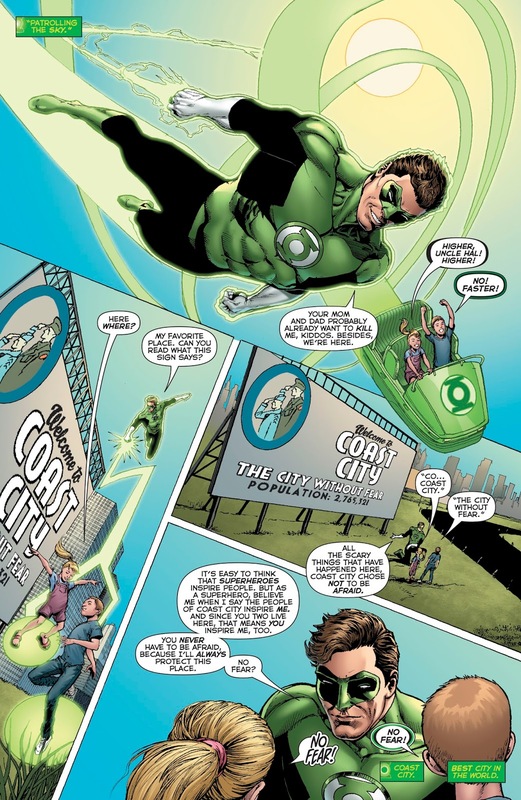 Robert Venditti and Ethan Van Sciver use some familiar imagery and references to ground a Metal tie-in to the world of Hal Jordan. Hal Jordan and the Green Lantern Corps 32 opens with a familiar setting: the GLC cleaning up and rebuilding Coast City following The Sinestro Corps’ invasion. In the face of the Dawnbreaker’s attack, Venditti’s message is clear: the will of Coast City will survive. In fact, the overwhelming faith that Venditti has in Hal kind of contradicts his defeat by issue’s end. If you’ve been reading any other chapters of “Bats out of Hell,” or know how these tie-ins work, then you know Dawnbreaker’s victory was inevitable — this fight can only be resolved in the pages of Metal. 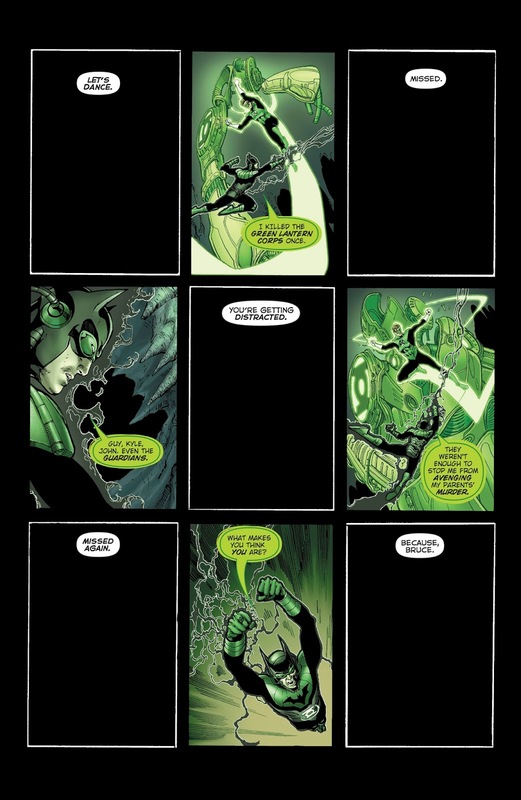 To counteract Dawnbreaker’s light-absorbing powers he puts his ring on “strobe.” To mimic this effect, Van Sciver uses a 3×3 panel layout, alternating the black panels from page to page. He draws classic GL foes like Sinestro and Larfleeze to frighten Hal — he even throws in King Shark. 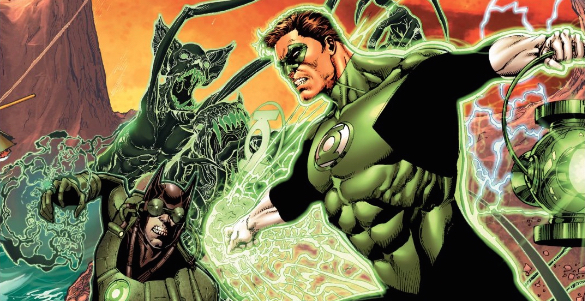 Hal shows incredible ingenuity and willpower in the fight, reminding Dawnbreaker that he is no normal Green Lantern — he crafted his ring from his own willpower after all. However, the one thing stronger than the willpower of a Green Lantern is meeting the editorial guidelines.